Julian Emerson | Leader-Telegram, Eau Claire, Wis. 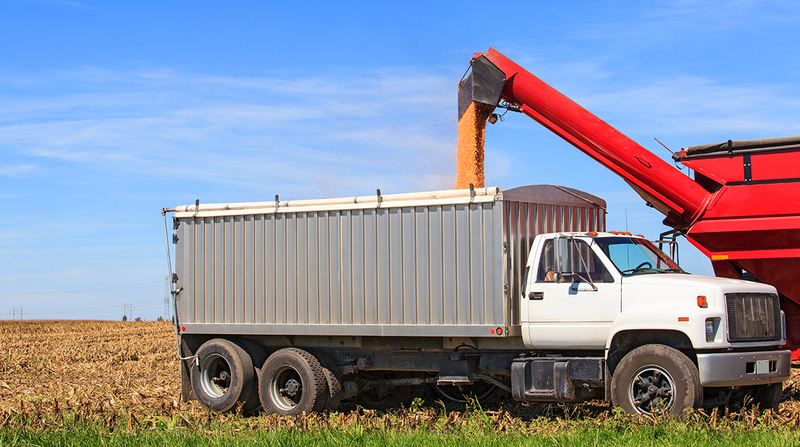 When Kevin Nelson hauls corn from his farm south of Osseo, Minn., to grain bins in Winona, Minn., lately he has added extra travel time and is paying more at the pump. Of the six routes out of Nelson’s 2,000-acre beef and grain farm, four are blocked because of weight limits imposed on bridges along those roads, forcing him to drive a longer way that adds about 20 minutes to the trip to Winona that used to take an hour. “I’m in a tough spot with these bridges,” Nelson said, noting two of those structures, to the north and south of his farm, are under repair. Nelson is among many farmers, truck drivers and others taking longer drives and spending more money for fuel these days because of weight restrictions placed on nearly 200 bridges across Wisconsin in the past couple of years, which have resulted in lengthy detours and half-full loads. Three-fourths of the 184 bridges with lower weight restrictions are along roads on the state’s western side, a fact that concerns Trempealeau County Supervisor Michael Nelson, Kevin Nelson’s father. The county is home to 18 bridges with revised weight limits, the highest number in the state. Wisconsin Department of Transportation officials said they revised restrictions on bridges to account for the added stress on those structures caused by newer trucks and other vehicles that use closely spaced axles to carry more weight on smaller frames. WisDOT has re-evaluated more than 2,000 bridges across the state during the past few years to meet a Federal Highway Administration deadline for this year. Much of the focus has been on short-span bridges with timber-and-steel frame designs. WisDOT officials said none of the bridges inspected needed to be closed because of safety concerns, but weight limits on some were lowered to ensure safe travel. The agency also recommended lifting restrictions on almost 350 bridges that were stronger than previously thought. Reduced bridge weight limits have forced some farmers and truck drivers to plan longer routes to reach destinations, Trempealeau County Highway Commissioner Al Rinka said. County agriculture agent Steve Okonek said so far he hasn’t heard of any farmers completely cut off from hauling because of the lower limits, “but this is definitely causing people to replan their [travel] routes,” he said. The recent restrictions could cause delays in hauling first-crop hay, which is being harvested now, Okonek said. Gov. Scott Walker announced May 25 that more than 100 bridges are scheduled for replacement with more than $76 million in state funds. However, just eight of the restricted bridges are on that list. To ease the travel backup a bit, the Trempealeau County Highway Committee will spend about $24,000 to upgrade a bridge along Highway D north of Pleasantville, Rinka said. That structure serves a relatively high number of people and is in good enough shape to make repairs to instead of rebuilding it, he said. Funding for improvements to the bridge will come at the expense of other work later this year, he said. “I will have to cut back on something else later, but right now this is a priority,” Rinka said. Michael Nelson said the lowered weight limits on bridges are a sign the state needs to boost funding for roads that have fallen into disrepair in recent years. “We are very frustrated with the lack of funding for roads right now,” he said, noting he believes Walker and the state Legislature should approve a gas tax to help pay for transportation upgrades.